Even hurricanes have a silver lining: The downpour washes away a lot of bull. Don’t get me wrong. This is a tragedy for untold thousands of people. And no upside could possibly balance the scale against the downside. The full human toll of Harvey, now a tropical storm, remains to be determined, but it’s already steep. As of this writing, the official count of fatalities was up to 14, and that number will probably rise. The economic cost will take a long time to calculate. And the emotional price — lost homes, heirlooms, pictures, worry, stress — can never be calculated. And yet, I couldn’t help but notice that there is a “feel good” aspect to the whole catastrophe. The best example is the hyper-viral story of two men loading up their boat and driving into the storm. CNN’s Ed Lavandera found them under a highway overpass readying the vessel. “You guys just jumping in to help out?” Lavandera asked. “Yes, sir,” says one of the men. “What are you going to do?” Lavandera asks him. That man was African-American. His partner appeared to be Caucasian or maybe Latino. But it doesn’t matter at all. We don’t know if they’re Republican or Democrat, pro-Trump or anti-Trump, NRA members or fans of gun control. (Though let’s be honest: This is Texas, so we can guess on that one.) All they wanted to do was help. While it was a journalistic faux pas not to get the men’s names, it almost made the story more endearing that we didn’t get them, because it reinforced the idea that they were just normal Americans. All weekend, TV and social media highlighted stories like this. Granted, there were plenty of attempts to politicize the storm. Some had superficial legitimacy. Did Texas officials — particularly the Democratic mayor of Houston and the Republican governor of Texas — drop the ball in not ordering a mandatory evacuation? But even these debates lacked the bitter vitriol that marked coverage of Hurricane Katrina or even Hurricane Sandy. To its credit, the organization later deleted its account and released an apologetic statement saying its leaders were “horrified” by their social media coordinator’s actions. But the point was already made. We live in an ugly, tribal moment in American history. Indeed, the more representative story of the weekend came out of Berkeley, where “antifa” goons beat up nonviolent protesters they unilaterally deemed to be fascist. By comparison, despite the terrible plight of its victims, Harvey was the happy story, at least in one narrow respect. Politics is becoming a substitute for identity, even religion, for millions of Americans. How you vote, what team you root for on the cable shout shows, is becoming a signifier of who you are. The media fuel this attitude, in large ways and small, by turning the news into “narratives” of good people and bad people. This is an unhealthy development, regardless of which ideological uniform you wear. But politics and ideology are, or should be, downstream from all of the most important things in life, at least in America. (It’s a different matter in places like Venezuela or North Korea.) Under normal circumstances this can be hard to see, never mind appreciate, because we are lucky to live in a fabulously rich and free society where people can afford to make politics into a sport or fashion statement. Most of us can see this within our own networks of friends and family, where political differences rarely trump more meaningful bonds. But on a mass scale, it becomes apparent only in dire circumstances, like when floodwaters wash away the nonsense and reveal the decency of the American people. 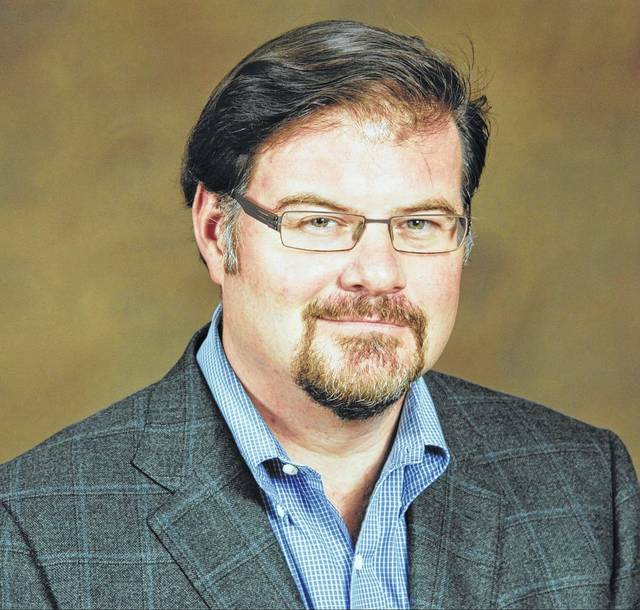 Jonah Goldberg is an editor-at-large of National Review Online and a visiting fellow at the American Enterprise Institute. You can write to him in care of this newspaper or by email at JonahsColumn@aol.com.